You’ve heard of pairing wine with dessert, but have you heard of wine from the desert? Over the last 5 years areas other than California have stepped into the national spotlight as wine producing regions. Washington State, Oregon and the Finger Lakes region of New York State have earned solid reputations for high quality fruit and wine making. Arizona’s entrance into the wine world started a little more recently. Pioneers like Al Buhl and R.W. Webb began developing vineyards and producing wine 25-35 years ago in South Eastern Arizona. In the last 5-6 years the Arizona Wine industry has seen explosive growth, almost doubling in size. This is due in large part to the increased notoriety brought to the region by rock stars like Maynard James Keenan ( Tool, A Perfect Circle,Puscifer) as well as rock star wine makers like EricGlomski. Let’s not forget the contribution made by rock star restauranteurs Pavle Milic and Charlene Badman, owners of Scottsdale’s restaurant FnB. These two pioneered Arizona wine in a big way back in 2010 when their restaurant featured an all Arizona wine list. In the summer of 2010 they organized “The Judgment of Arizona”. They brought in major wine personalities from all over the United States and had them blind taste Arizona wines and major wines from around the world, reminiscent of 1976’s Judgment of Paris. 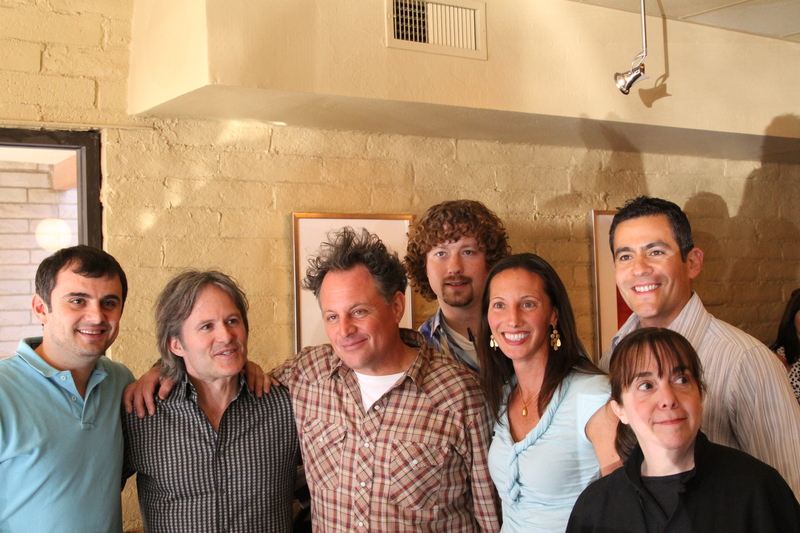 The consensus at the time was that there were some world class wines being produced in Arizona. Unfortunately, there were also some wines that were not world-class. Gary Vaynerchuk noted that (I’m summarizing) that in order for the region to be taken more seriously, the consistency of quality in the region would have to improve. That was over 4 years ago, and in that time huge strides have been made. Arizona is now recognized as a region capable of producing world-class wines, it’s not just a novelty “wine from the desert”. But the growth can’t all be credited to just two wine makers, a chef and a handsome Colombian from Brooklyn. The industry as a whole, and all the wine makers have really worked hard to increase the reputation of the region. They’ve done this by focusing on quality not quantity. Although the quantity has definitely increased, this is a by product of producing superior wine. Each November since 2009 the Arizona Wine Grower’s Association (AWGA) and the Arizona Republic have teamed up to recognize excellence in Arizona wine making. Every November, for the past 6 years “The festival on the farm at South Mountain” has allowed the public to taste 30-40+ Arizona wineries all in the same place. The night before the festival there is an exclusive awards banquet held at Quiessence restaurant (on the farm as well). 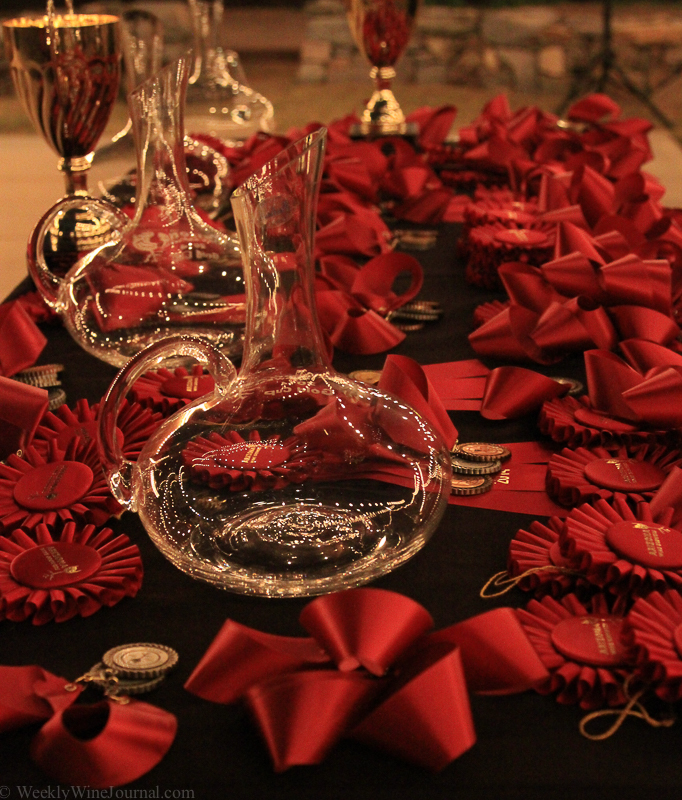 The Arizona Republic Wine competition is held in private in October, with the results released to the public on the night of the Awards banquet. This year is different, however as the award winners have been announced over the last several weeks. 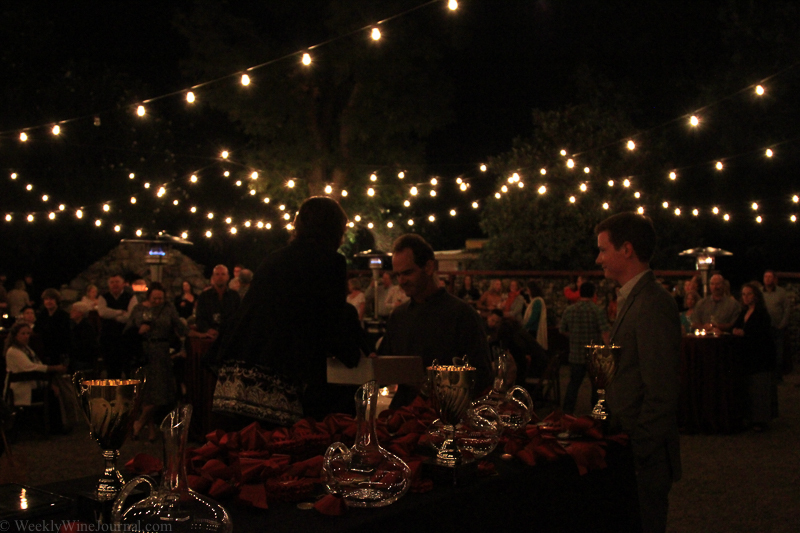 This year’s Awards Banquet featured a little change in venue as well. The banquet was moved to “Stone Grove” instead of Quiessence. Stone Grove is located right next to Quiessence, so it’s really the same place, just a bigger more open setting. With all the interest in Arizona Wine these days, the logistics of hosting this event in the little farm house that is Quiessence were becoming difficult. I talked with some of the wine makers including Kent Callaghan, winner of this year’s “Best in Show” and first place “Grower’s Cup, Red” for his 2012Tannat. I asked Kent about his Tannat and Tannat in general. He said it’s a pretty interesting grape. Good yield, but a little difficult to work with. He’s tried blending it with other grapes but the result was a “dumb wine” as he put it. He said it would be interesting to see how it turns out in a few years, but his immediate impression was that it wasn’t working. Callaghan Vineyards only has a half acre of Tannat planted and only 60 cases of wine were made. The wine is sold out, mostly to Callaghan’s wine club members. Luckily for wine lovers Callaghan’s “Padre” which tied with Dos Cabezas Wineworks for 2nd place in the Grower’s Cup Red is still available. See the link at the bottom of the article for Callaghan’s website. 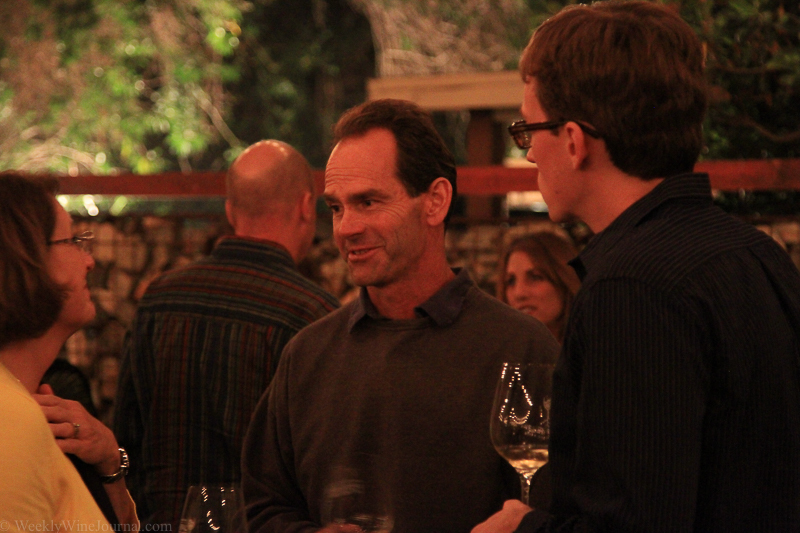 I also had a chance to follow Todd and KellyBostock from DosCabezas Wineworks around. 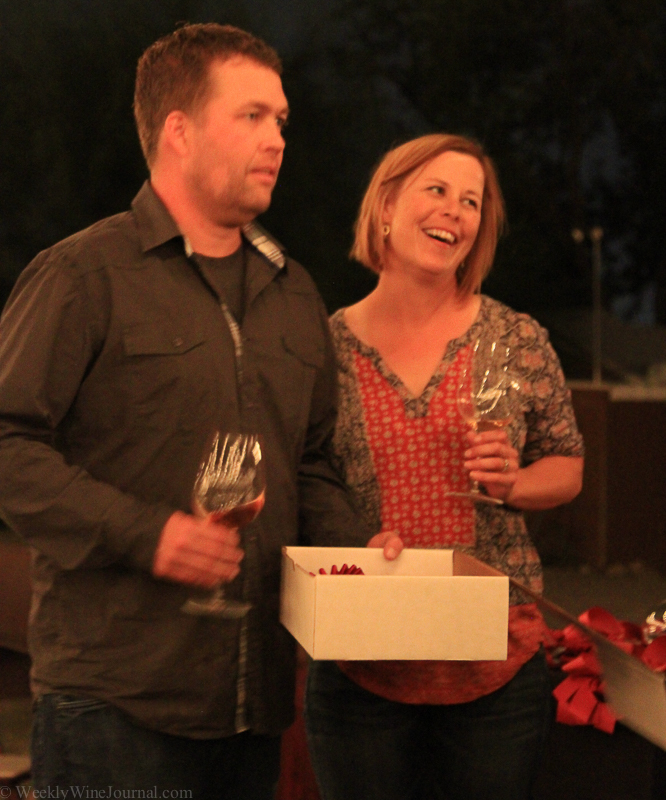 Todd and Kelly were featured in an independent film about wine titled “American Wine Story”. Todd has recently discovered the concrete slabs around the winery make an awesome street hockey surface and has developed what he believes to be the best family hockey team in Sonoita. Dos Cabezas Wineworks did exceptionally well this year, winning 3 first place awards for their Rose, Syrah and Rhone Style blends. Finally I chatted briefly with Patti King, executive director of the Arizona Wine Grower’s Association. She was very pleased with the turn out and said that the Festival on the Farm (nov 15th) sold 300-400 more tickets this year than last year. This represents about a 30% increase! In recognizing excellence, the AWGA and the Arizona Republic have really helped to create a sense of community and raised the local profile of Arizona Wine. Just a few years ago, even Arizonans were skeptical of Arizona Wine. Today the industry has a solid reputation for producing world class wines. The consistency that Gary Vaynerchuk talked about 4 years ago has really come a long way. It would be interesting to gather together the judges from Judgment of Arizona and try again.